A team of Chinese Researchers from Hangzhou Dianzi University and Zhejiang University has developed a new neuro-morphic chip called 'Darwin' that hopes to prepare the hardware for running smart algorithms of the 21st Century on low-power embedded devices that are constrained by resources. Fabricated using standard CMOS technology, the Darwin Neural Processing Unit is a specialised hardware co-processor that could revolutionise the development of Robotics, Brain-Computer interfaces and various intelligent hardware systems. As products and services based on 'Internet of Things' grow with leaps and bounds, the technology underneath needs to get advanced with the same pace. The main challenges in this arena are faced by researchers who are trying to process complex artificially intelligent algorithms on really tiny embedded devices. The existing artificial neural networks mimic biological brain processes for applications such as automated control, decision support systems, signal processing as well as something simpler like pattern recognition. A type of such bio-inspired Artificial Neural Networks include 'SNN' or Spiking Neural Networks, which are able to process information based on discrete time spikes. Interestingly, the SNNs are not only more realistic, but also have the potential to offer better performance to power ratio. The development of Darwin data processing chip has made the real-time execution of these SNNs plausible. Fabricated using 180 nm CMOS process, the Darwin chip supports about 4 million synapses, 2048 neurons and 15 different synaptic delays. It promises reconfiguration support of the SNN topology, neurons and various synapse parameters. 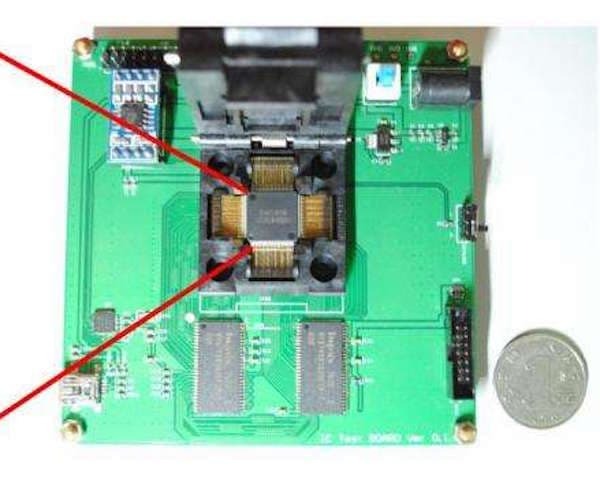 With the existence of Darwin chip, users can configure various different functionalities which includes the processing of biological spiking neural signals. As stated earlier, one of the major potential applications of the Darwin chip is the development of brain-computer interfaces. To demonstrate this, the Chinese research team has built a prototype that let's a user control a virtual basketball plainly via brain commands. This is achieved by the system developed to recognise the user's motor imagery intention through real-time decoding of EEG signals. The important thing to note here is that, unlike existing EEG signal analysis algorithms, the input and output to Darwin are both neural spikes. What are your thoughts about the new Darwin processing chip? Share with us in comments below.